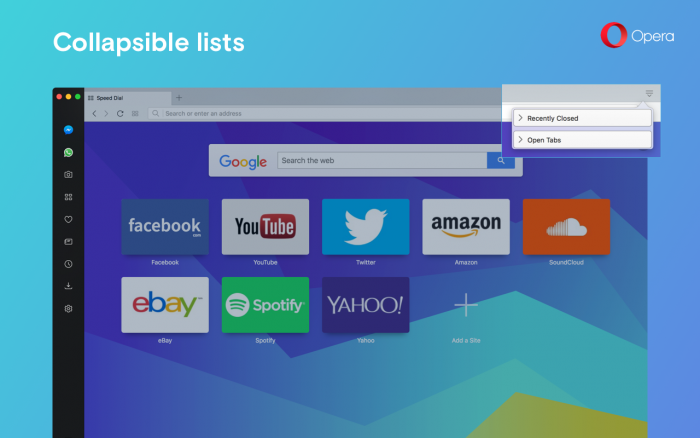 "We’re happy to announce, that Opera 51 enters beta today. 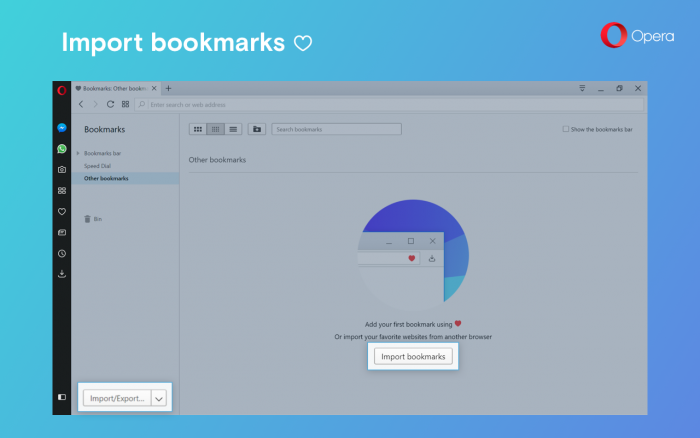 It offers improvements like quickly scroll to the top of the web page with just a click of the tab, import bookmarks added in bookmarks manager, improvements for video pop-out and tabs, new design of private mode and more. 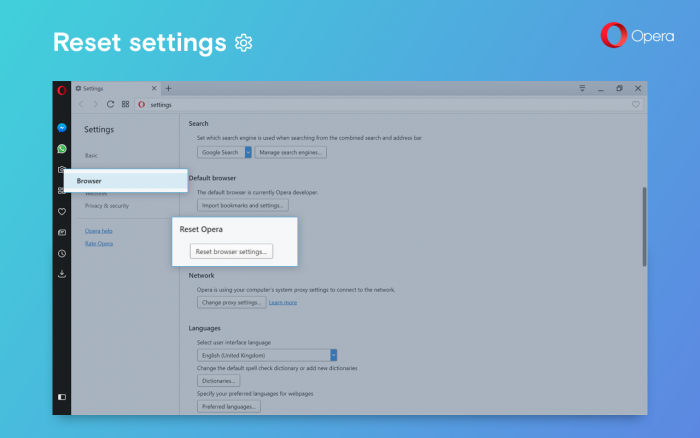 - Opera for Mac now supports AppleScript, allowing you to create snippets for Alfred, or automate your workflow easily. - [Mac] Reduce number of VTDecoderXPCService instances." The Chromium has been updated to version 64.0.3282.15. "Today, we’re updating our beta stream, with a new Chromium 64.0.3282.71. 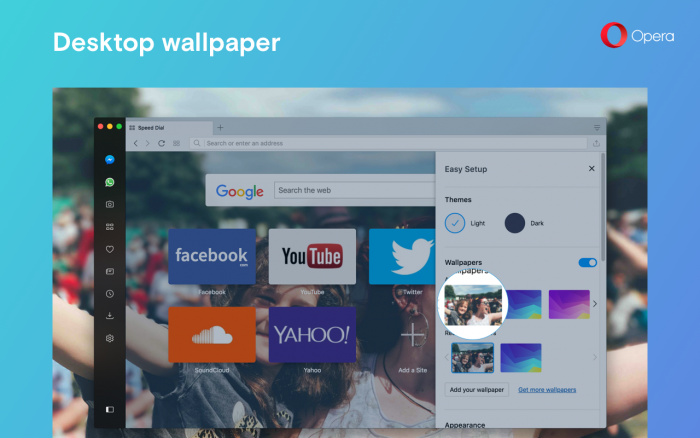 Setting your desktop background as Opera’s wallpaper is as easy as adding your own theme from your system library. Head to the Easy Setup menu from the start page, and click the wallpaper option with the blue “Desktop” label across it." The usual 6 Speed Dial ads keep being added every hour or so, no matter if I delete them from the trash can, log out/in from sync, etc, which is getting extremeley annoying. What happened? New OS and Opera install. - The Chromium is updated to version 64.0.3282.99. - We’ve fixed Crtl+Tab crash on Linux (asdf_x2 and Vlad thank you for your help in - analyzing the crash!). - We’ve added some missing translations in Settings. - We’ve made some Adblocker fixes." "Today’s release is our Stable candidate, and as such should only deliver Stable quality. Let us know, if you’ll find anything frustrating in this build." The Chromium has been updated to version 64.0.3282.119. There is a periodic message in lower right corner of screen, 51.0.2830.23, x64, win10 v1709. It flashes so fast that it is only readable by machine or superhumans. But, doesn't seem to be problematic. Otherwise good performance.